Laser Hair Removal Removal can be applied to ALL areas of the body and on all skin types, even tanned or dark skin. 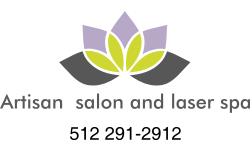 Save on laser hair removal services at Artisan Salon and Spa with our One Price, Many Options special. Check for monthly specials!